A decent English translation on the daoist alchemical practices. Importantly, it covers how the metaphoric language used by sages of the past has been misinterpreted (often literally) by certain "ignorant" religious adepts. It's a product of the Complete Reality School of Daoism.Only a part of this book is the work of Chang Po-Tuan - part 1, which dates to 11th century. A commentary is then provided by Liu I-Ming (18th century daoist scholar). Sections 2 and 3 are Liu's own complementary work which aims to demystify some key alchemical metaphors by use of innovative symbols. All of it is translated by Thomas Cleary, who's provided a relatively clear translation. Recommended reading, but only after the Daodejing and Zhuangzi. I had to slow to a snail's pace reading this book and in spite of that still understood only a small portion of its contents. The difficulty for me came in reading this as my introduction to Taoism rather than being a clarification to the more familiar texts. A friend recommended this when I asked for a good "primer" to Taoism, and though he was clearly wrong I still believe this will be a book I refer back to as I read more books in this genre. Nonetheless, there is still enough to glean on this first time through to be quite intriguing and provided nice food for thought. 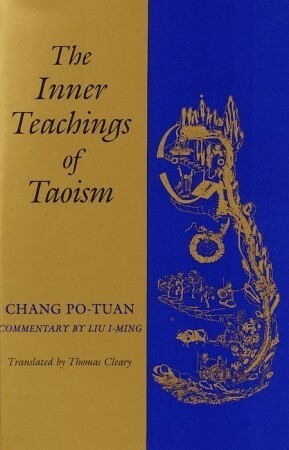 Another great treatise on internal alchemy as presented by the immortal Chang Po-Tuan with commentary by Lui I-Ming.